The extensive renovation and redevelopment of Lympstone Manor under Michael Caines sees this historic building restored to and even beyond its former glory. With the addition of a new wing, and the careful restoration of period features within the house allied with stunning contemporary features and the most modern conveniences, it is fair to say that the best days of this historic house are still to come! The area of Lympstone has had links to both the bronze age and iron age, with the most prolific finds dating back to the Roman and Saxon Era, as the neighbouring City of Exeter held such a prominent part in the Roman trading. Lympstone as we know it today has been formed from the cohesion of three small Domesday manors, Leveneston (Lympstone), Notteswille (Nutwell) and Sowden. There was a Saxon lord of the manor of Levenestone before the Conquest (1066) who is recorded in the Domesday Book of 1086: he was called Saeward. ‘Lympstone’ is thought to be derived from a word of Saxon origin, and has been variously spelt throughout the ages – Leveneston, Leustona, Veneston, Weleston, Limpston. During Saxon times, villagers kept a look-out for Danish raiders. It is thought that when needing to escape, families and cattle would have used the old drove roads towards the Common. Field enclosures would have been a prominent part of the landscape during these times. Medieval Period: During the medieval times, Lympstone and the surrounding area were a hive of activity. Trade, including imports to and from Lympstone, generated activity, population growth and development. The area was a strategic vantage point for trade and exploration and consequently the activity lead to wealth and dispute as well as raids from pirates, including from the Dutch and the Turks. The area ﬂourished and the growth of the urban environment and the intensiﬁcation of agriculture to support more people was inevitable. The Baring family is a German and British family of merchants and bankers descended from John Baring (1697–1748), a wool merchant of Bremen who founded a merchant house in Exeter in 1717. His sons Francis Baring and John Baring moved to London, where they founded the John and Francis Baring Company, commonly known as Barings Bank, in 1762. Barings Bank became one of the leading London merchant banks up until its collapse in 1995. The family’s descendants include Diana, Princess of Wales, whose great-grandmother was Margaret Baring, the daughter of Edward Baring, 1st Baron Revelstoke. 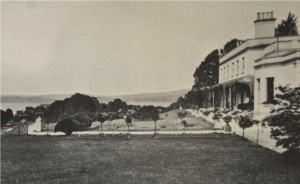 Originally a farmhouse, Lympstone Manor was known as Courtlands’ House. 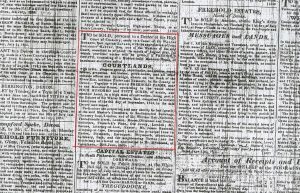 Courtland’s was extended by the Baring family from the 1760’s onwards. The Baring Family were responsible for the most dramatic changes to the house. The Picturesque garden design was beﬁtting of the changes, especially with the sweeping veranda. We know that the Baring family added the majority of the additions to the previously simple and much smaller Georgian structure as there are references to the physical status of the house at this time. The adapted 1760’s building is still observed from the front. Many of the garden’s elements that we see today were established by the Baring family, who owned the property during the period when the ‘Picturesque’ movement had started to be inﬂuential. The Lady’s Walk was established by the Baring Family, along with the parkland planting inﬂuences of the landscape movement and the more formal garden design around the house. It was during their occupation of Courtland’s that the walled garden was established. “The manor is seated upon a gentle eminence at the extremity of a lawn, protected on the North and East by full grown plantations and commands ﬁne views of the River Exe, the surrounding country and the sea. The lands are disposed in extensive pleasure grounds, ﬂower gardens, plantations and shrubberies, walled fruit gardens, peach houses, grapery and conservatory and sundry enclosures of park-like land, the whole 70 acres lying within a ring fence and beautifully ornamented with timber….” During the trend of the Regency Design, the Barings created their own sizeable slice of Regency at Courtland’s House. The House was extended and stylised to include landscaped grounds, verandas, and a turret. William Francis Spicer took control of the estate in 1829. He was the son of the widow of Charles Baring’s brother, Thomas Vowler Baring. It is also thought that the Lady’s Walk was widened as a route for Mr Spicer to gain access to the water’s edge. A wall still remains in this location from this date. Mr Spicer was the only occupant who did very little to the house and grounds. 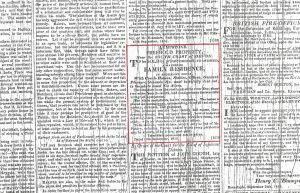 Trewman’s Exeter Flying Post from Oct 1816 and July 1825 provides some detail the house which was being sold. This mention some of the elements we see today. (The house was finally sold in 1829). Octavius Browne added the porch to the front of the building and a small conservatory to the rear before the property was sold once again to William Lethbridge in 1885. William Lethbridge was originally a teacher, who later read law and was called to the Bar in 1861. Together with a colleague called W.H.Smith, he founded the famous stationers of that name. He was also a colleague of Sir Alexander Galt, High Commissioner for Canada, and together they set up a coal mining business at Coalbanks in Alberta. That was later renamed “Lethbridge” in his honour. 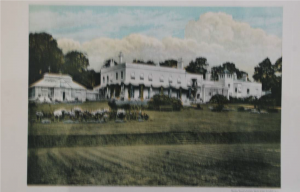 Lethbridge retired in poor health and moved to Courtland’s in Lympstone in the late 1870s. Courtlands is thought to have been the first house in Devon to have electricity installed. 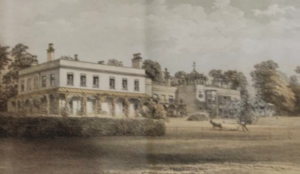 In an architectural and horticultural sense, William Lethbridge was the last major investor until the arrival of Michael Caines and as a whole there has been a gradual deterioration of the asset since the start of the 1900’s. Much of the estate has previously been sold, the glasshouse removed, residential houses have appeared in the grounds and the signiﬁcant walled garden has been sold off. The extensive renovation and redevelopment of Lympstone Manor under Michael Caines sees this historic building restored to and even beyond its former glory. Careful restoration of period features within the house allied with stunning contemporary features and the most modern conveniences, it is fair to say that the best days of this historic house are still to come! Lympstone Manor opens its doors on April 3rd 2017, now a 5 AA star, Relais and Chateaux hotel and Michelin starred restaurant.  By subscribing to our newsletter you agree to receive general and promotions offers from Lympstone Manor. You can change your mind at any time by clicking the unsubscribe link in the footer of any email you receive from us, or by contacting us at info@lympstonemanor.co.uk. We will treat your information with respect. For more information about our privacy practices please visit our website. By clicking below, you agree that we may process your information in accordance with these terms.